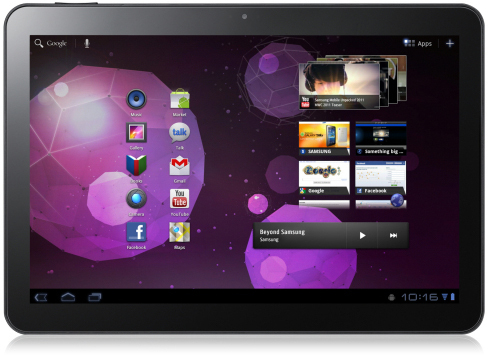 It isn’t clear exactly what Samsung has done to address elements that resulted in a German court banning the sale of their Galaxy Tab 10.1, but the Android slate is ready for sale in the country once again. 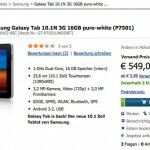 Now dubbed the Galaxy Tab 10.1N, from the image and description provided by one German retailer, it is hard to notice any immediate differences between the already released version of the slate and its modified counterpart. There does appear to be a slight alteration to the bezel surrounding the screen, a primary element in Apple’s argument that the Galaxy Tab could be confused for the iPad at first glance. It remains to be seen if Apple will drag this new version through the ringer, but for now the “Galaxy Tab is back,” as stated in the product description. 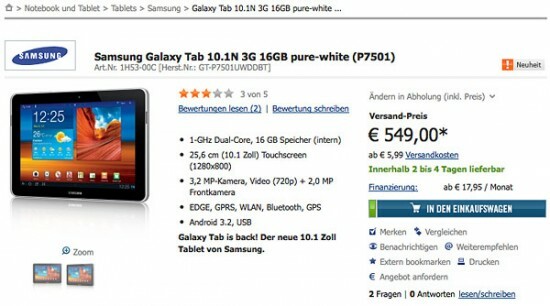 Germans eager to order can expect the tablet to ship in two to four days. 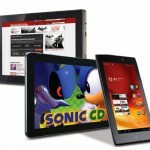 "Samsung is aware of an issue that some Galaxy Tab 10.1 customers have experienced with todays software update. We are working on a resolution and will provide more information shortly. In the interim we have chosen to discontinue availability of the update." Android updates are always a mix of emotions that usually start of with elation but can often times be followed by confusion, anger and occasionally regret. If you’ve already updated your device to Android 3.2 the only thing you can do now is wait while Samsung scrambles to release a fix as well as an updated Android 3.2 version for those that didn’t get a chance to update (thank your lucky stars). Hang in there! HP has announced a brand spanking new tablet. But don't get all excited thinking it's a follow up to the much derided, but evidently much loved, TouchPad. Nope, it's back to business with the Windows 7 running HP Slate 2. Back in 2010, long before Samsung dropped the original Galaxy Tab and when the only Honeycomb you knew of was inside a Crunchie bar, the gap between the iPad's release and the first wave of genuine rivals was dominated by rumours of a "killer" HP tab. That tab turned out to be, disappointingly we have to say, the Slate 500 which was suited, booted and aimed squarely at the office space. The Slate 2 picks up where its older brother left off, and you could be forgiven for thinking that it's the exact same device but with a new name. But look closely and you'll see that it's slightly thicker and slightly heavier. How's about that for progress? It even packs a slower CPU although it is a newer generation Intel Atom Z670 clocked at 1.5GHz and HP states the mSATA SSM technology will deliver faster boot times. There's an improved battery life of up to 6 hours. The 64GB mSATA drive promises to be quicker and the display, whilst still measuring 8.9 inches, has a better resolution at 1024x768. Other features include 2GB of RAM, a Swype keyboard, an Intel Media Accelerator 600 GPU, microSD support, optional 3G, Wi-Fi a/b/gn, Bluetooth 4.0 and the option of a Bluetooth keyboard accessory. The camera is still 3-megapixel with a front facing VGA one. The HP Slate 2 Tablet PC will cost $699 in the States. It is expected to be available worldwide later this month. UK price and date TBC. AT&T won’t have the HTC Jetstream as the only LTE tablet in its portofolio for long, since the Samsung Galaxy Tab 8.9 with 4G LTE support has just reached the FCC with support for AT&T’s bands. 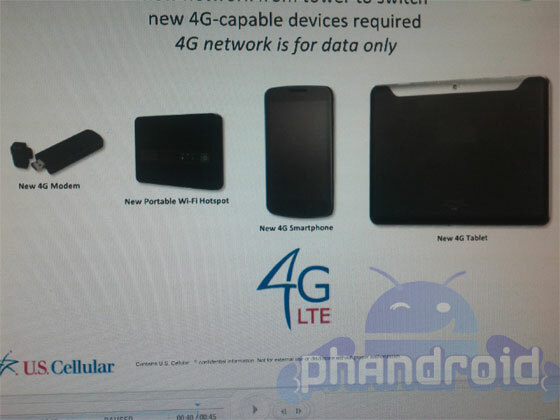 It’s not yet certain if this is the Galaxy Tab 10.1 or the 8.9 in the documents, but what’s sure is that the device is coming to the carrier mentioned above. Speculations seem to favor the 8.9 model as the one shown here. You can also get it in the WiFi-only version for $449.99 in the 16GB flavor and if you’re looking for a 3G Samsung tablet of the new generation, bad luck, as AT&T doesn’t offer those. A quick reminder of what the Galaxy Tab 8.9 is about: the same specs as the 10.1 incher, with a 1GHz processor, 1GB of RAM and support for 1280 x 800 pixel resolution. This 8.9 inch tablet with LTE is expected to be available on AT&T till the year end and maybe some Xmas offers will make it more affordable than the hugely expensive HTC Jetstream. 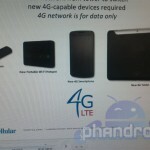 Keep in mind that this model will be among those to get Android 4.0 next year, so it’s good news if you want a fresh Android. 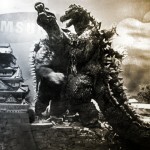 The Samsung Galaxy Tab attempted to do what no other tablet would: take on the iPad head-to-head. That first 7-inch offering didn’t topple Apple’s place atop the Tablet heap, but its release marked the beginning of the onslaught of Android tablets from all manufacturers that we see today. Samsung has since followed up that noble effort with a series of Galaxy Tabs, and most recently announced a new 7-inch slate to replace the original. But there is no love lost, at least for Verizon subscribers. 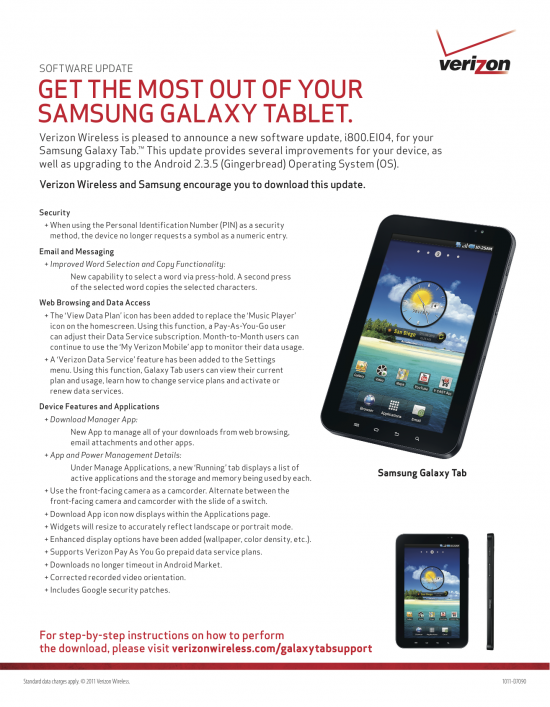 The carrier has just posted the release notes of an Android 2.3.5 update headed towards the Galaxy Tab. It’s not Ice Cream Sandwich, nor is it even Honeycomb, but it is a bit more than what many might have expected. Improvements abound, check the source link for the full changelog. Looks like Gamestop is ready to jump on the tablet craze (if there is one) with the addition of a few tablets making their way to the video game retailer starting today. Gamestop will be selling the Acer Iconia Tab A100, Asus Eee Pad Transformer and the Samsung Galaxy Tab in 200 of their stores as part of a test program. Each of the tabs will have access to Kongregate’s Arcade app store including 7 free games including Dead Space, Madden and Sonic CD. If the test program goes well, Gamestop will ship out more tabs to stores in 2012. Prices for these tablets are near identical as you would find at any other retailers with the Iconia Tab 8GB being offered for $330, Transformer for $400 and Galaxy Tab 10.1 coming in at $500. Gamestop loves their bundles and the tabs will be offering their own with accessories like a Bluetooth gamepad for some serious tablet gaming. What do you guys think? 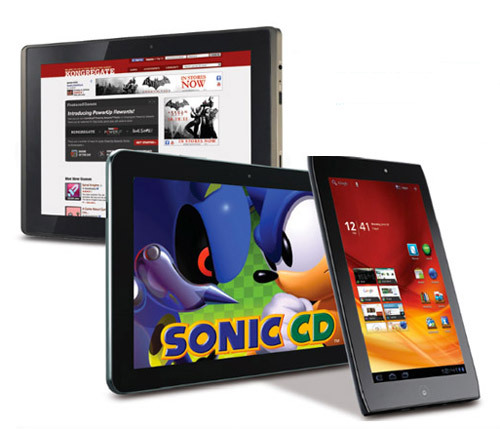 Could these tablets be a hit for the holiday season? 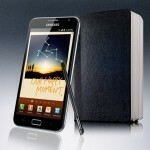 Samsung has reportedly begun shipping out its 5.3-inch behemoth, the Galaxy Note, to Europe. In a move that is sure to get Apple’s blood boiling, the phoneblet will be arriving in Germany first. 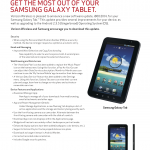 Samsung is currently appealing a temporary ban of the Galaxy Tab 10.1 in Germany. Apple has yet to mention the Galaxy Note in their legal battles against Samsung but I’m sure all that will change once the Note arrives on the scene. The Galaxy Note features a 720p display, 1.4GHz processor, 8MP rear/2MP front facing cameras and running on Android 2.3 Gingerbread. Its claim to fame is its larger than life size and the inclusion of a capacitive stylus optimized for a handful of included apps. Let’s hope this arrives in the US sooner than later. Not that anyone thought they wouldn’t, Samsung has formally filed to appeal an Australian court’s decision to ban importation and sales of the Galaxy Tab 10.1 in the country. 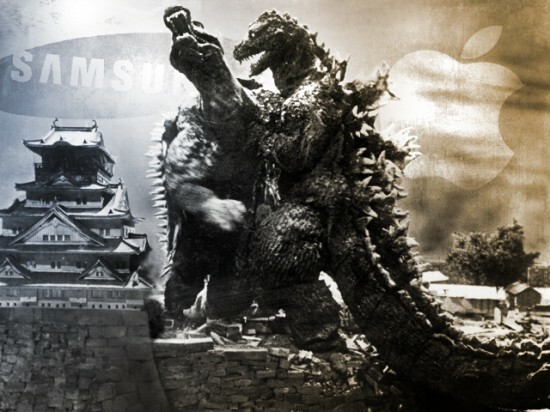 The ruling was made after Apple took its global patent war down under, making claims that Samsung has infringed on Apple’s product design. As part of their appeal, Samsung counsel Neil Young — not the guitar-weilding folk singer, though his penchant for standing against social injustice would be fitting in this case– argued that Justice Annabelle Bennet, the judge presiding over the original trial, made her decision based on “irrelevant considerations.” Samsung has been granted an appeal hearing, which is expected to begin the week of November 21st. Regardless of the final verdict, Samsung will likely miss any chance of delivering the Galaxy Tab 10.1 in time to make a big holiday splash. Sprinkle Hits Android Market For All 2.3+ Phones, FREE Version Too!